We’re delighted that, as an experienced professional or manager, you’ve found your way to our Career pages. If you’re ready for a career change, want to explore new paths and drive forward change, we cordially invite you to actively apply for a job with us. 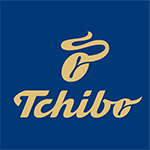 People who give shape to the Tchibo world of tomorrow are very welcome to join us!